What’s Draining Your Android Battery? - Techlicious - Something New Everyday! With all that we use our cell phones for – always-on social networking, video and music, voice navigation wherever we go – most need to be recharged nightly. But if you find your Android phone is dying long before your evening nightcap, you may want to take a look at what's draining its battery. Those lovely high-definition screens on handsets like the Samsung Galaxy S7 or HTC One M9 are a common culprit, while the Android OS's live-updating homescreen widgets can be responsible for more than their fair share of juice. Another common cause of battery drain is badly designed apps, which can hog battery life by constantly syncing and pushing alerts. The latest version of the Android OS, 6.0 Marshmallow, comes with deep battery optimization features to intelligently manage how apps use battery. Doze, which is active by default, is a mode that kicks in when the screen has been off for 30 minutes while the phone isn't plugged in. It prevents apps from getting online, and from waking the phone, but doesn't affect "high-priority" alerts such as email or chat. Similarly, a feature called App Standby adds a new option in Settings > Battery to "Optimize"; optimized apps are put into standby (no syncing; no alerts) if they haven't pushed alerts, been used or launched for several days. Both features are designed to minimize the impact of inefficiently designed or unused apps – for example, bloatware preinstalled by manufacturers or carriers – so users shouldn't notice them working (though which apps are "optimized" can be manually managed in Settings). While most Android phones released in the last couple years should receive an update to Marshmallow this year, even if you're using an older version of Android, there's still plenty you can do to increase battery life – without changing how you use your phone (too much). In all versions of Android, hit Settings > Device > Battery or Settings > Power > Battery Use to see a list of all apps and how much battery power they're using. If an app you don't use often seems to take up a disproportionate amount of power, consider uninstalling it. Delete apps you don't use from a single menu by heading to Settings > Apps > All. Tap on each app and hit Uninstall to remove it as well as any data it has created. Despite the popularity of task-killer apps for Android, manually closing running apps doesn't help battery life, a myth recently debunked by both Apple and Google. In fact, closing an app can even very slightly damage battery life according to Android's SVP of Android, Chrome and Chrome OS, if the phone system requires it to run again (or when you open it again). Many Android apps, including social networks, weather apps and news apps, come with widgets that sit handily on the home screen for real-time updates. However, widgets are battery drainers due to their constant syncing with the mothership or power-sucking animations. If you don't need a permanent window into Twitter, or regular updates on the weather, remove the superfluous widget by pressing and holding it, then dragging it to the trash can icon. Smartphones use more power when trying to connect in low-signal areas. If you can't get a signal, turn on Airplane Mode by swiping down and tapping the Settings wheel. If your low-signal area is, say, an office or someone's home, you can turn on Wi-Fi (with Airplane Mode enabled) instead to stay connected. Then restart your cellular connection when you're in an area with better coverage. On the flip side, disabling Wi-Fi may not always save battery life. Your phone uses less energy to connect to wireless than cellular networks, while Wi-Fi also helps phones determine location – handy for paring back the need for power-hungry GPS. Though Doze is a default feature on Android Marshmallow, users of Android 4.1 (and newer) phones can download a separate, more powerful app called Doze (free in Google Play), based on Google's version. Once downloaded, the app needs to activated, then it works in the background (without affecting Doze mode, if it's downloaded onto a Marshmallow phone). Getting real-time updates of what's going on in your apps is handy for things like email or social networks, but many apps automatically demand permission to send notifications as well for reasons that are much less useful. Turn off notifications by heading to Settings > Apps, then visiting less necessary apps and unchecking "Show notifications." GPS is one of the heaviest drains on the battery – as you've probably noticed after using Google Maps to navigate your last road trip. When you're not actively using navigation, swipe down to access Quick Settings, and toggle it off. You'll be prompted to re-enable it when you use Maps. Alternately, if you're using apps that require your location, you can head to Settings > Location > Mode and select "Battery saving" (where Wi-Fi and mobile networks are used to determine your location) over "High accuracy" (where GPS is also used). Some apps track your location and therefore use more battery power than strictly necessary by accessing your GPS. At Settings > Location you can see which apps recently requested your location, as well as how much (low/high) battery it took. For apps that seem to be demanding more than necessary, head into the apps and manually adjust the permissions individually. 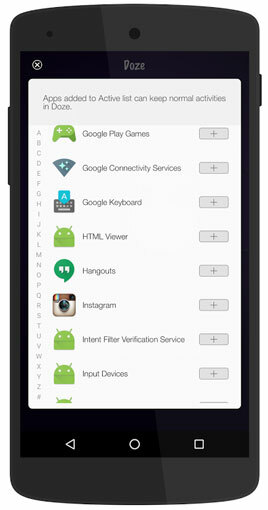 For Android 5.0 and newer, this feature helps maximize battery life as well as stretch out those last several minutes. For example, animations are pared back, most background syncing is halted and location services turned off (so no navigation on Google Maps). You enable it manually in Settings > Power, where you can also fine-tune specifics such as whether or not to conserve CPU power, screen brightness or vibration feedback and choose whether or not to turn off data connection when the phone is asleep. Phones such as the HTC One M8 and Samsung Galaxy S6 (and newer) also have an "extreme power-saving mode" in which data connections turn off when the screen is off, notifications, GPS, Auto Sync and Bluetooth are off, and only essential apps such as text messaging, email and the clock are allowed to run. You can set the battery level for Power Saver Mode to kick in automatically, or enable it manually. If you're using Android 5.0 or newer, head to Settings > Display and enable "automatic brightness", which allows the phone to adapt the display based on the lighting where you are, ensuring the screen is never brighter than necessary. But if your battery is in dire straits, manually dimming the screen is a good temporary fix until you can get to a charger. Pull down the notifications menu and drag the brightness slider to the very dimmest display level you're comfortable with. You can save a little bit of battery power many times over by decreasing the length of time your phone remains idle before its display automatically goes dark. Head to Settings > Display to adjust Screen timeout to, say, 10 seconds rather than an interval like 30 minutes (which you may have chosen if you were doing something like using the phone for a recipe). If your phone is ringing, you don't need it to vibrate as well. Head to Settings > Sound and uncheck "Vibrate for calls". To really get into battery miser mode, turn off haptic feedback, the handy little vibe when you press virtual keys, by going to Settings > Language and keyboard and unchecking "Vibration feedback". Who doesn't love the weather widget that tells the time and the temperature in one handy, live-updating home screen box? If you've loaded yours up with cities where you've been vacationing, that widget could be contributing to heavy battery drain. Remove superfluous cities from your weather app by heading to Settings. According to the Battery University blog by Cadex Electronics, phone batteries degrade much faster when they're hot, whether you're using the phone or it's idle. Avoid leaving your phone on the dashboard of your car on a sunny day. The best way to maintain smartphone batteries is to keep your phone battery more than 40% charged. Constantly allowing the battery to go from completely full to completely empty can damage it and decrease its capacity over time. On the flip side, leaving your phone plugged in when it's completely full can also degrade the battery. Best practice? Keep your battery between 40% and 80% charged. 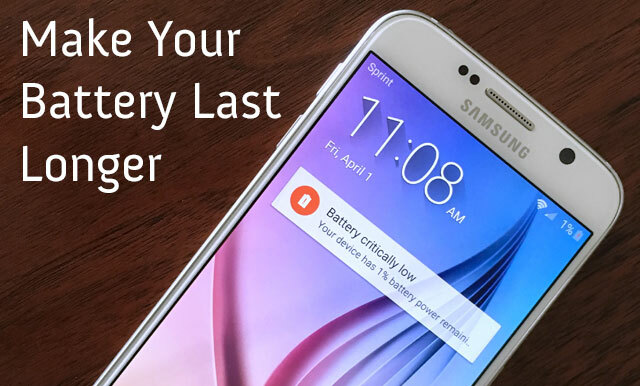 Battery University suggests that calibration – fully discharging then recharging your phone's battery – once every three months helps it maintain its charge capacity.